When I was 20 years old, I was a very unhappy young lady. I went into psychoanalysis — on the couch four days a week for four and a half years, until my analyst said, “You’re analyzed,” which I took to mean that I was ready to create a healthy relationship. In reality, I had no idea of what a healthy relationship was. All I really knew about was the relationship my parents had, which was anything but what I now call healthy. Armed with their role modeling and the years of my analysis, I got married to a man who had no better idea than I did of what constituted a healthy, loving relationship. After many years of learning and healing, and working with thousands of couples over the last 44 years, I now understand what a healthy relationship is and how to create it. This is the most important ingredient for creating a healthy relationship. When people do not take responsibility for their own feelings, they tend to try making their partner responsible for their own happiness, emotional safety and self-worth. As adults, happiness, emotional safety and self-worth come from how we treat ourselves and others, rather than from how others treat us. Therefore, if we are abandoning ourselves rather than loving and valuing ourselves, we will feel unhappy and emotionally unsafe, and have low self-worth. If we then blame our partner for our feelings, we participate in creating an unhealthy relationship. The main thing that causes relationship problems is emotional self-abandonment, which generally occurs in four ways: ignoring your feelings by staying in your head rather than being present in your body, judging yourself, turning to various addictions to avoid your feelings, and making others responsible for your feelings. Learning emotional responsibility is vital for creating a healthy relationship. Relationships thrive when both partners are kind, accepting, compassionate and empathetic. This occurs naturally once you have learned to be kind, accepting and compassionate toward yourself, but it becomes a huge challenge when you are abandoning yourself. Again, the ability to be kind with others is directly related to learning to be kind with oneself. When people take loving care of themselves and take responsibility for making themselves happy, they generally want to share their happiness with loved ones. When you learn to stay connected with yourself, you likely want to share your connection with loved ones. 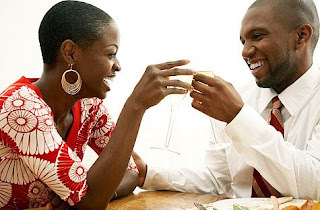 Warmth, affection, connection, laughter and fun flow easily when both partners have learned how to take responsibility for their own happiness. In healthy relationships, partners thoroughly enjoy being together, but their well-being is not dependent on being with each other. Emotional dependency is the opposite of emotional responsibility. While some people enjoy being together all the time, some partners also enjoy being with their own friends or pursuing separate interests, and in a healthy relationship, they are supported in doing this by their partner. Healthy relationships have a system for learning from their conflicts and resolving their conflicts in ways that work for each partner. Healthy partners are able to listen attentively to each other’s points of view and do not get stuck in having to be right or having to win. A healthy relationship is an evolving relationship — i.e., each partner is learning and growing through the relationship, and often through the conflicts. Conflict can provide fertile ground for learning when each partner’s intent is to learn, rather than to control or avoid being controlled. The basis of a healthy relationship is when each partner maintains an open intent to learn about loving themselves and each other, rather than being intent on protecting/avoiding/controlling. It is the intent to learn about love that leads to being able to take personal responsibility for your own feelings. In healthy relationships, partners trust each other to not deliberately hurt each other. They support each other in what brings each person joy, and they feel joy in witnessing each other’s joy. Healthy partners, instead of being threatened by each other’s success or joy, are delighted by it. There is a spark that exists in healthy relationships that is not easy to define, but most people know what I mean by this. You enjoy being physically next to each other. You enjoy talking with your partner, playing with your partner, and sharing your feelings with your partner. You enjoy making love with each other. A spark is not a superficial thing — it is not based on looks or status. Rather, it’s about the deeper loving energy that exists between two people. Often, people feel a spark at the beginning of their relationship, but self-abandonment and the intent to control generally squash it. Spark is maintained by all the above ingredients, and can be maintained throughout the relationship. When you see older, long-married couples still gazing at each other with love, you are seeing the spark — the deeper energy of love — that exists between them. These people love each other on the soul level; time and aging take nothing away from the spark when people love each other on this deep, essence level. 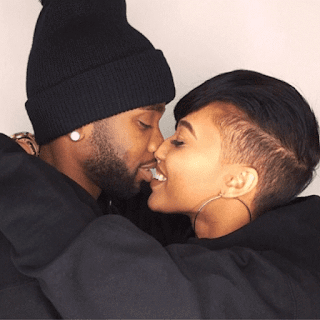 Due to this deeper love — this spark — these people are able to maintain their experience of being connected with each other throughout the trials and tribulations of relationship challenges. By doing your own inner work to become an emotionally responsible, kind and loving person with yourself and each other, you can create a healthy, loving relationship!